Being in pain is quite uncomfortable for most people. Even minor pain, such as a stubbed toe or a paper cut, is unpleasant but that pain fades relatively quickly. Imagine being in pain that never fades, or that fades only to come back a few hours later. What would that do to a person? This is what people with chronic pain have to deal with every day. Chronic pain, a diagnosis including arthritis, back pain, and recurring migraines, can have a profound effect on a person�s day to day life when it goes untreated. People dealing with ongoing or long-term pain can become irritable, short-tempered, and impatient, and with good reason. 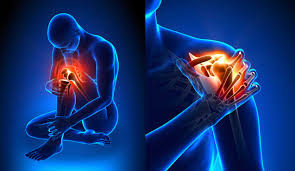 Constant pain raises the focus threshold for basic functioning, which leaves the pained person with a greatly reduced ability to find solutions or workarounds to even relatively mundane problems. Something like a traffic jam, which most people would be mildly annoyed by but ultimately take in stride, could seriously throw off the rhythm of someone who is putting forth so much effort just to get through the day. After a while, pain wears a person down, draining their energy and sapping their motivation. They sometimes attempt to limit social contact in an effort to reduce stress and to decrease the amount of energy they have to spend reacting to their environment. Eventually, many people with chronic pain develop depression-like symptoms: lack of interpersonal interaction, difficulty concentrating on simple tasks, and the desire to simplify their life as much as possible, which often manifests as seeking isolation and quiet. Sleeping often makes the pain less intrusive, and that combined with the exhaustion that pain induces means that it isn�t uncommon for a person to start sleeping upwards of ten hours a day. Some recent studies have also shown that chronic pain can actually affect a person�s brain chemistry and even change the wiring of the nervous system. Cells in the spinal cord and brain of a person with chronic pain, especially in the section of the brain that processes emotion, deteriorate more quickly than normal, exacerbating many of the depression-like symptoms. It becomes physically more difficult for people with chronic pain to process multiple things at once and react to ongoing changes in their environment, limiting their ability to focus even more. Sleep also becomes difficult, because the section of the brain that regulates sense-data also regulates the sleep cycle. This regulator becomes smaller from reacting to the pain, making falling asleep more difficult for people with chronic pain. In addition to making some symptoms more profound, the change in brain chemistry can, create new ones, as well. The most pronounced of these are anxiety and depression. After enough recurring pain, the brain rewires itself to anticipate future bouts, which makes patients constantly wary and causes significant anxiety related to pain. Because chronic pain often mimics depression by altering how a person�s brain reacts to discomfort and pain, chronic pain often biologically creates a feeling of hopelessness and makes it more difficult to process future pain in a healthy way. 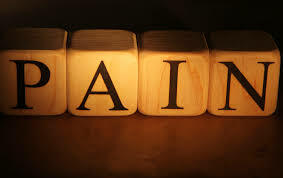 In fact, roughly one third of patients with chronic pain develop depression at some point during their lifetime. Untreated pain creates a downward spiral of chronic pain symptoms, so it is always best to treat pain early and avoid chronic pain. This is why multidisciplinary pain clinics should be involved for accurate diagnosis and effective intervention early in the course of a painful illness � as soon as the primary care provider runs out of options that they can do themselves such as physical therapy or medications. However, even if the effects of chronic pain have set in, effective interdisciplinary treatment may significantly reduce the consequences of pain in their lives. There are any number of common treatments, which include exercise, physical therapy, a balanced diet, and prescription pain medication. Ultimately, effective treatment depends on the individual person and the specific source of the pain. One thing is very clear, however: the earlier a person begins effective treatment, the less the pain will affect their day-to-day life.